is my tap water safe to drink? How to Tell IF It Is Safe To Drink? More and more people are asking themselves the question: Is my tap water safe to drink? This question is asked more and more often these days as people realise that safe drinking water is not something that they can take for granted any longer. 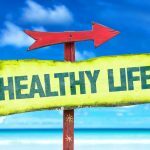 The media campaigns to make us all aware of the impact that some of our lifestyle choices have is now in full swing. It isn’t just the written press but also science and news sites like the BBC IPlayer service which are making us more and more aware of the risks plastic represent for all living beings on our planet or Gaia. It is crystal clear to most of us now that the impact can be felt across our entire planet’s biosphere. 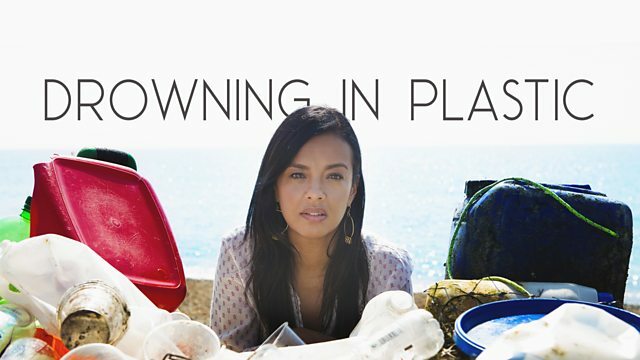 We recommend you have a look at the last program in the series from the BBC dedicated to this subject: ‘Drowning in plastic!‘. We have linked it for you below. For our international readers, not all content from the BBC is visible everywhere. This is a result of copyrights the programs might have and which are enforced by the BBC’s website and IPlayer service. The media campaigns to make us all aware of the impact some of our lifestyle choices have, seems to be picking up pace. They are informing us all about the risks our use of plastics poses globally. 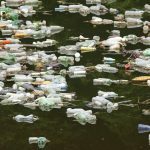 More, the program mentioned above is currently the starting point on the BBC ‘s website dedicated to all things relating to the impact of plastics and microplastic or fibers on our health and environment. We believe this is just the top of the iceberg. Many more scientific programs have been dedicated to the same subjects. Over the past 10 years. Sadly enough not many promising solutions or ideas have materialised. We cannot longer wait to react. Unless we are willing to change our lifestyles. We will be leaving our children a real burden to solve. Anything else in my water I should be worried about? More, it is not only plastic or it’s microfibers which could have contaminated your water supply. Many more other dangerous compounds can be found to be lurking inside some of our British water supplies. It will depend on your local situation if you are affected or not. There is a lot of information out there about all the contaminants that could be present in tap water. Unfortunately, most of them are microscopic and so it is impossible to tell whether or not they are present in your local tap or drinking water by checking them visually. ZeroWater has compiled a comparative list of contaminants it can remove or filters out of your water. 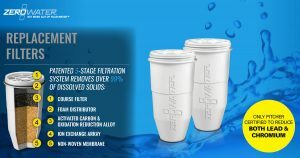 What does ZeroWater remove?, is the page in our website to check for that information. Most people are no longer willing to take the risk and wrongfully swapped to purchasing bottled water. Most of this water is distributed and sold as single-use plastic bottles. We all know where that has led us to. Contaminants that are present in drinking water have been associated with many illnesses. Some of which appear in the short term, while others are more ominous and may take years to manifest themselves. Your local council is in charge of making sure that your local water supply is safe to drink. Is my tap water safe to drink is a question your local authority can answer. The government provides regulations about what level of contaminants can be in drinking water. This without rendering it unsafe for human consumption. Most local authorities try their best to stick to these guidelines. Unfortunately, although they may be able to remove major contaminants. They may not get to some of the more common trace elements such as Lead and Copper. There is also a host of other chemicals and metals to check for. Not to forget the microplastics mentioned above. In many cases water can also get contaminated after it leaves the local treatment plant, but before it gets to your home. It could be because the soil between the two locations has high levels of chemicals and metals, or your pipes themselves could be the problem. 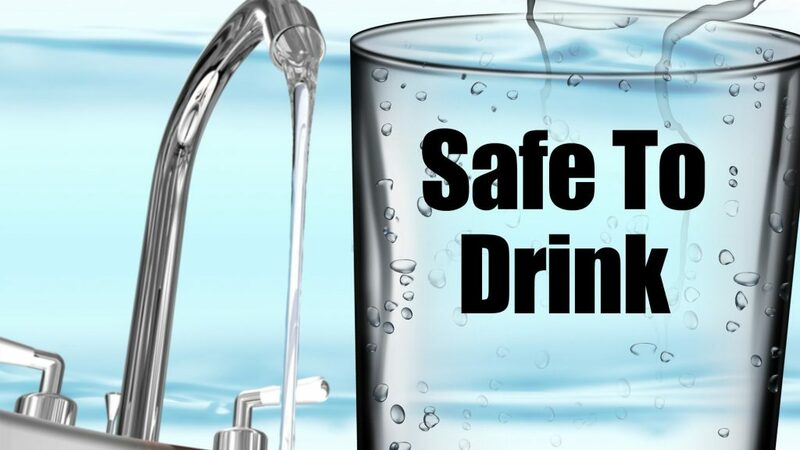 The best way to make sure that your local water supply is safe to drink is to have it tested. You can do it yourself or you can call in or hire a professional. If you choose to do your own water testing. Obtain a typical water test kit from a local store or buy one online. Before you carry out the test you may want to talk to your local authorities about the kind of contaminants you should look out for. It also helps you buy the right kind of test kit. Most kits are designed to look for specific contaminants and won’t detect all possible contaminants which could be found in water. Also, make sure that you test water from all sources in your home. Using a professional to test your water may be a better idea. They provide additional and comprehensive advice on how to deal with contaminants found in your local water supply. They will take samples from different sources. Each sample then undergoes a series of test in specialised lab. This will result in a detailed report and a list of recommendations on how you can make your drinking water safer. What if you don’t get your water from the local authority? Maybe, you get water from a well? Or, maybe, you use water tanks to catch rainwater which you then pump up to your home after collection. Whatever the situation, as long as your water isn’t provided by the local authority and you are living ‘off grid’. You have to make sure that it is treated and tested for safety. Ensure that your plumbing and pipes are in good quality. Clean your tank regularly. How about if I drink bottled water? Many people are under the impression that bottled water is completely safe. This is not the case. It is not necessarily safer than the water that comes from your taps. In fact, it may be less so. There is no law to regulate the quality of water that companies sell. You have to take their word for it when they tell you that their product is safe to drink. Bottled water is also very expensive. You will spend a few thousand pounds a year to keep your family hydrated and you will end up consuming a lot of single-use plastic bottles which harm the environment. Now the answer to your question: “Is my tap water Safe to drink?”, has become: “Buy a ZeroWater Jug”! 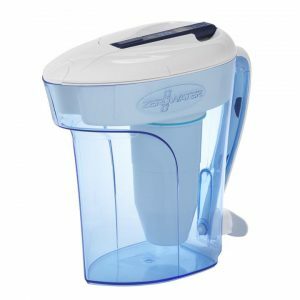 The best way to ensure that you are drinking pure and healthy water is to use one of our ZeroWater filter jugs. Our jugs use market leading 5 stage water filters. We have, on many occasions, been voted ‘The Number One’ or most affordable reliable and effective water filtration jug on the market in England or Britain today. You can see all our products in our shop. If you would like to find out what other contaminants our jugs can remove click here. Does a Water Filter Jug Make Your Tap Water Taste Better?